Many consider one-north as a business park of the future, of sorts; newly built office buildings dedicated to high-tech research and development cluster the area, and busy, brisk-walking individuals populate them. 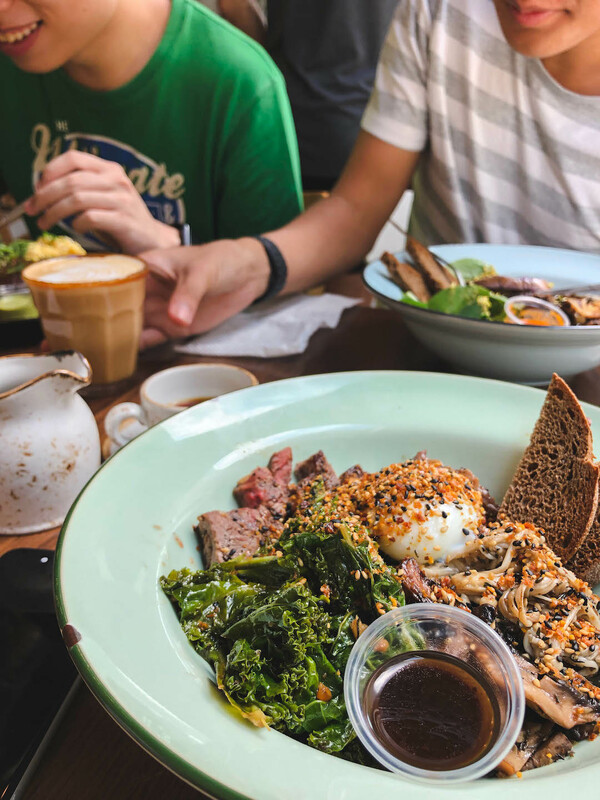 It might all sound slightly rigid and sterile, but one-north is also home to many great cafés. One of them is the well-known bakery-café, Bread Yard. 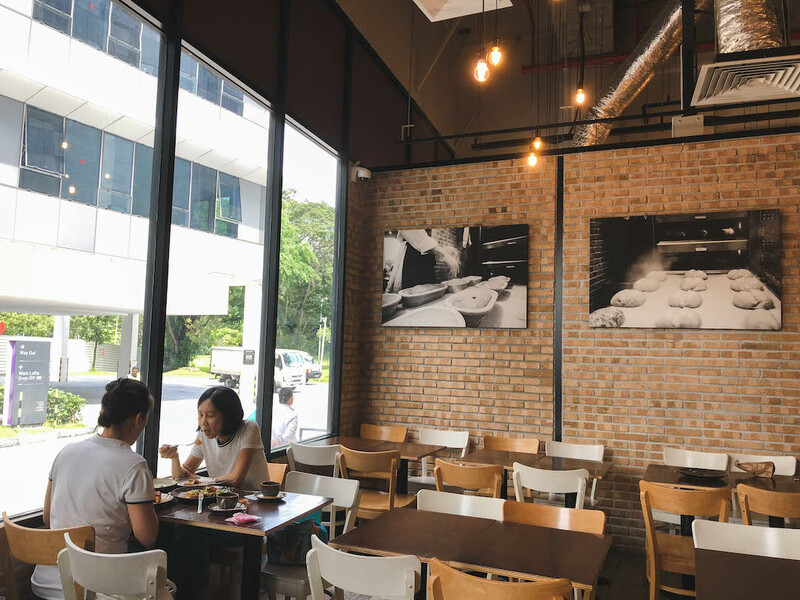 Bread Yard has grown tremendously since their humble beginnings, when they first opened on campus at the Singapore University of Technology and Design. Now, Bread Yard occupies a respectable corner unit in the Galaxis building, and is a definite favourite of many in the area. 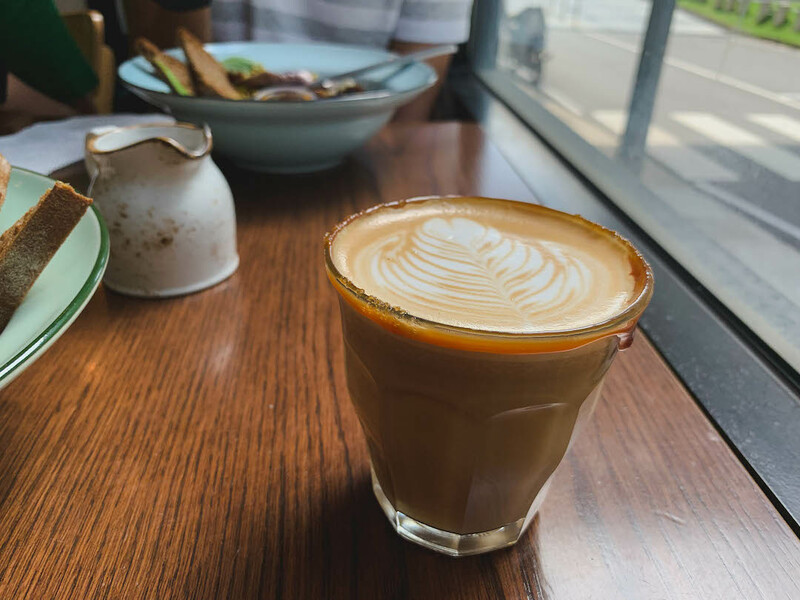 Evident from the glowing sign outside the café, Bread Yard proudly uses coffee beans from the roaster Allpress, for their espresso-based drinks. I ordered a 5oz white. The temperature was just right, the latte art en pointe, and the coffee was well balanced. I really enjoyed and was thoroughly impressed by the coffee Bread Yard served. 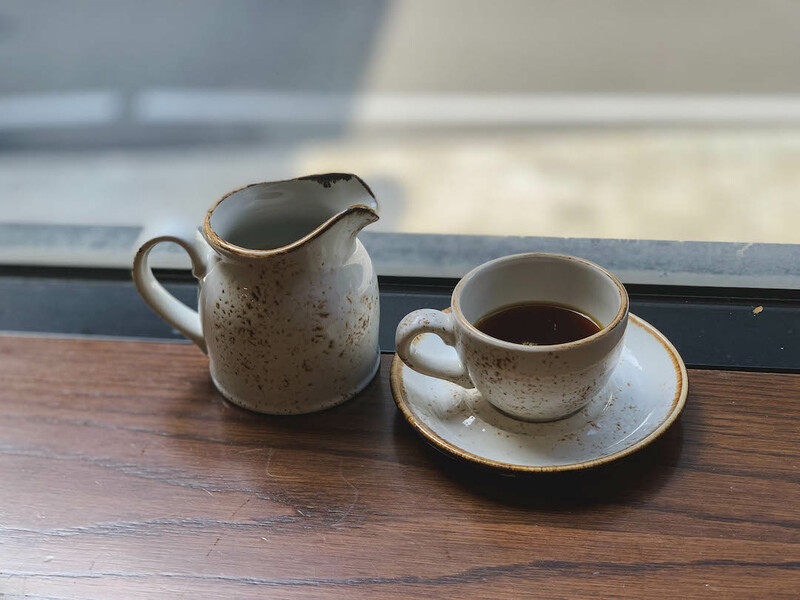 Bread Yard also serves filter coffee, offering 2 different brew methods to pick from, the Kalita Wave or the Aeropress. On the day I visited, the beans for their filter menu were from Nylon Coffee, a renowned local coffee roaster. I tried the Kalita Wave brew. The coffee was served in tiny pot, together with a matching tiny coffee cup and saucer to drink from. On top of its cute presentation, it was also a very decent brew. Standard drinks aside, they had a rather interesting item on the menu — the Salted Caramel Latte. It appeared to be a latte served in a glass with a generous coating of salted caramel around the rim. I’m not sure if there was salted caramel in the latte itself, but overall, the drink was definitely drool-inducing. 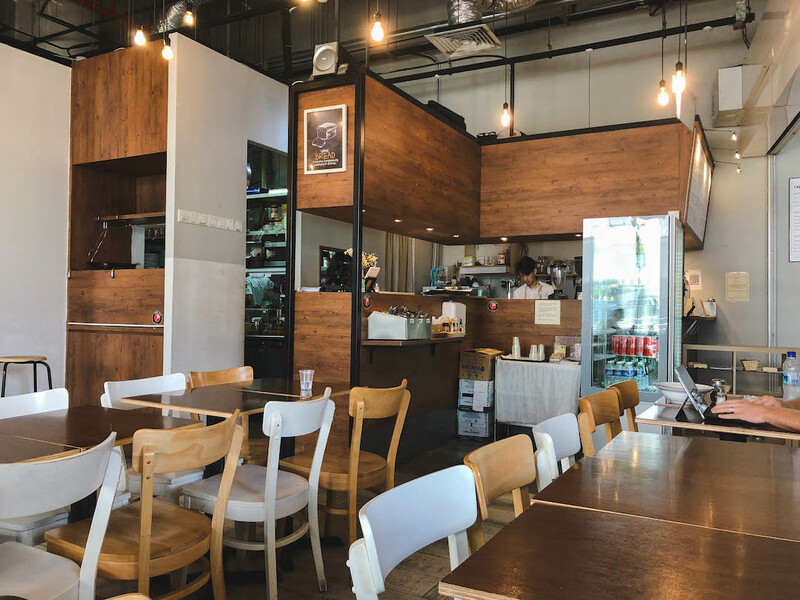 Pale brick walls and wooden panelling details imbue the café with a rustic feel. The decor is complimented by wooden furniture and simple hanging globe lights which add a touch of the modern-time minimalism that we are more acquainted with. The long panelled glass windows in the establishment aren’t just beautiful, but serve their purpose in allowing sufficient natural light in, adding to the warm ambience of the place. I found that altogether, Bread Yard’s gentle brown hues made the café ever so inviting and comfortable. From the outside, Bread Yard might not look very big, but it can seat up to 72 people (according to its website). But it does get somewhat squeezy when it’s crowded due to how close the rows of tables are to each other. On the plus side, since the tables are arranged in rows and can be moved, you can easily rearrange them to seat any group size. In my visits thus far, Bread Yard has not been overly crowded; yet another reason why I really like this café! 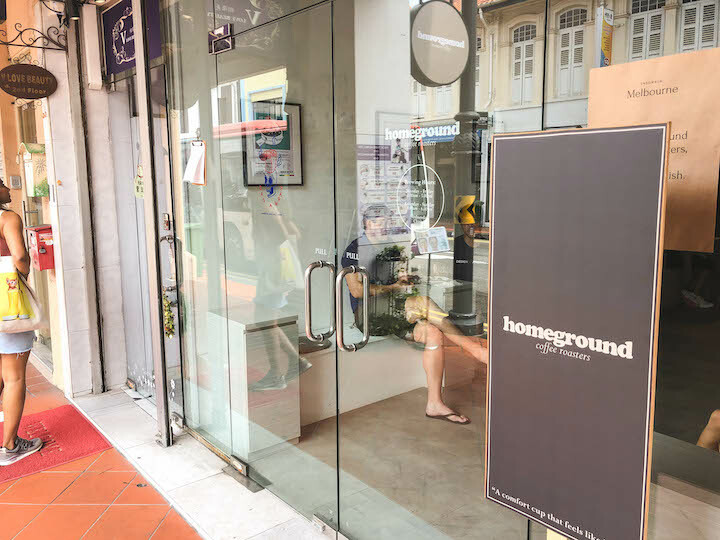 At $4.50 for a white coffee and $5.50 for filter coffee, Bread Yard’s coffees are quite reasonably priced. 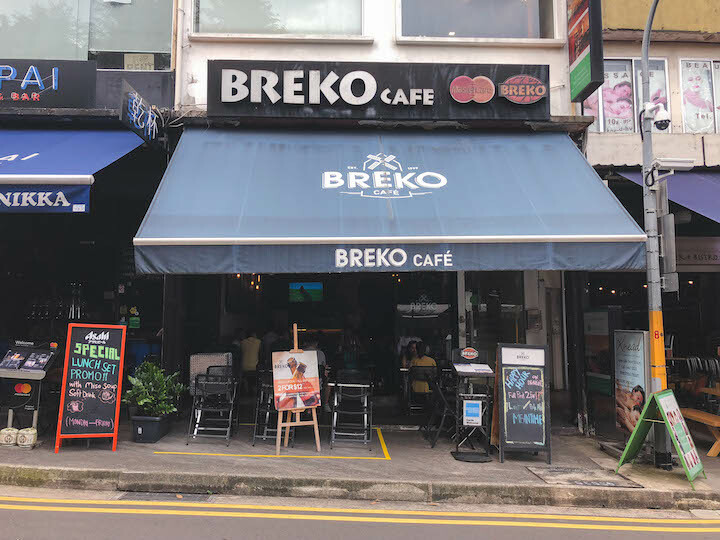 From $10 - $16, their food prices are also pretty much what you’d expect for café food in Singapore. 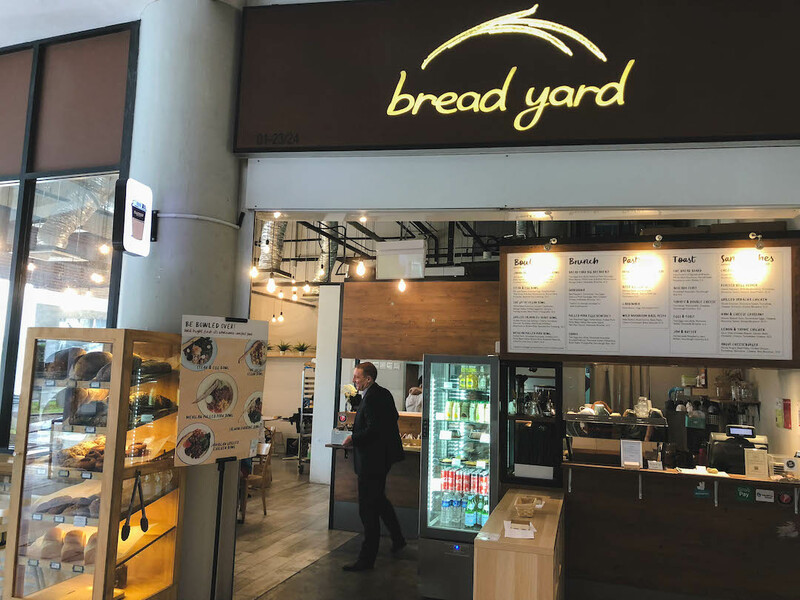 Bread Yard does not have a service charge and GST, so the prices you see are what you get. Still, I experienced lovely service from the friendly staff serving me. 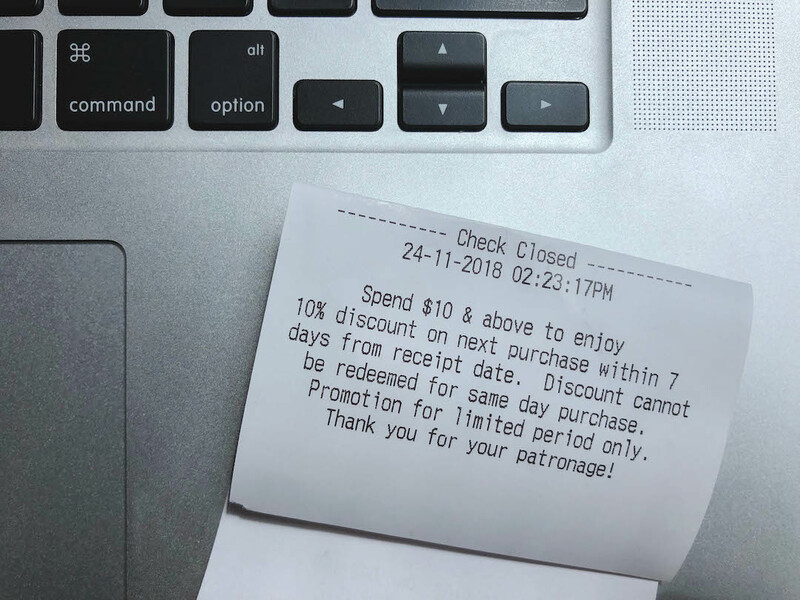 Pro-tip: If you look at the bottom of your receipt, you’ll notice a little note that grants you a special discount on your next purchase within the week. So keep your receipts if you plan on a revisit soon! 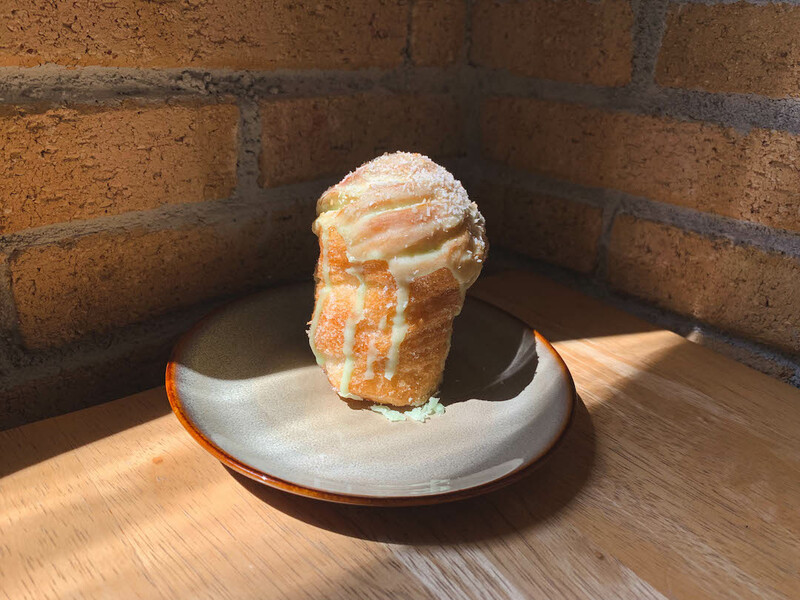 As you can probably guess from their name, Bread Yard serves freshly baked bread and pastries. The bread is laid out in a wooden cabinet outside the café, and doesn’t look like a whole lot. However I understood that this was because Bread Yard does not produce their bread in excess and each loaf comes fresh from the oven each day. Apart from bread and pastries, they also serve a variety of food options. 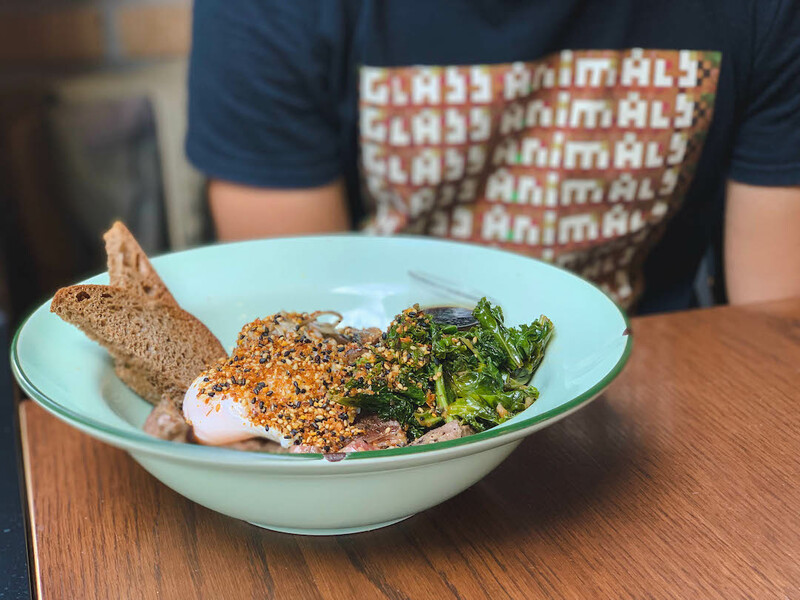 Their quinoa / brown rice bowls, unique to Bread Yard, are definitely one of the highlights. On top of that, they also have a brunch menu which includes toast, sandwiches and pastas. 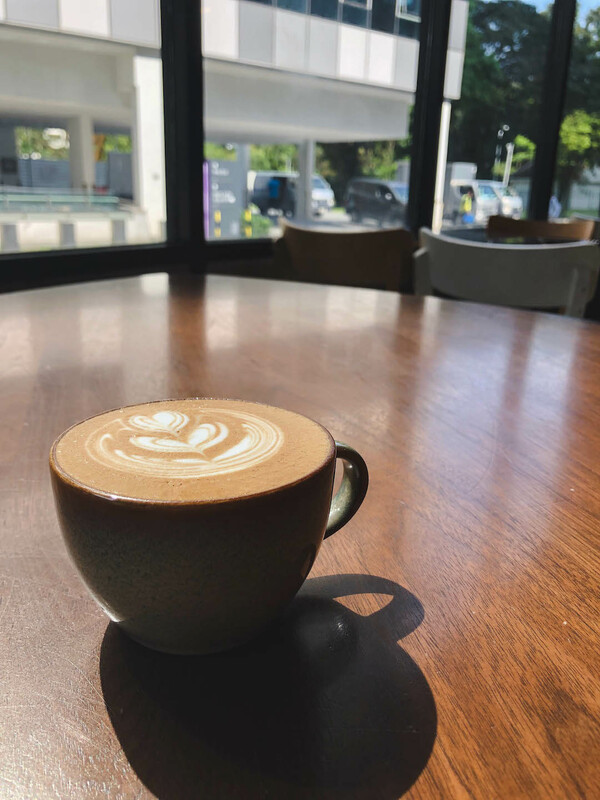 Few would expect to find such a chill and quiet café in the middle of a research-focused business park. 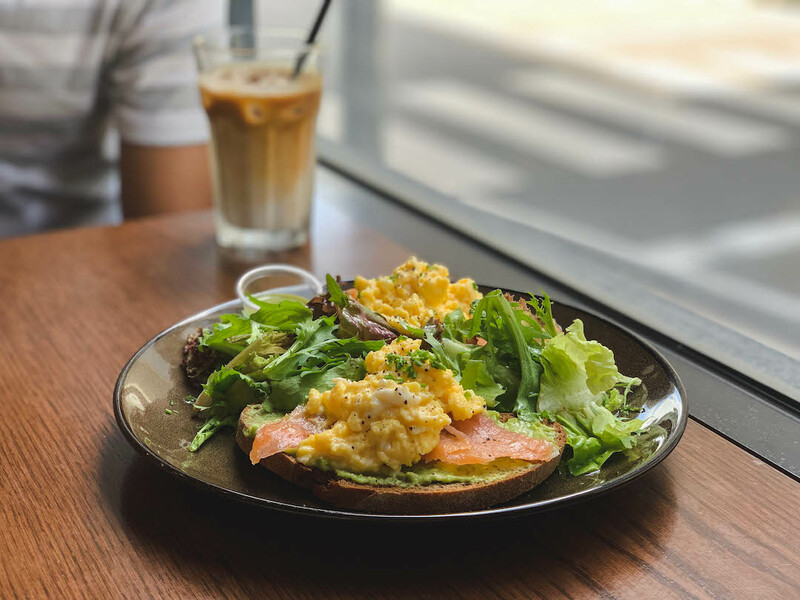 Bread Yard is slowly becoming one of my favourite cafés in the area, as it is almost never overly crowded, serves great coffee and fresh food. The mouthwatering smells of freshly baked bread and free wifi are huge plus points. And at the end of my visit I think, what’s not to love?